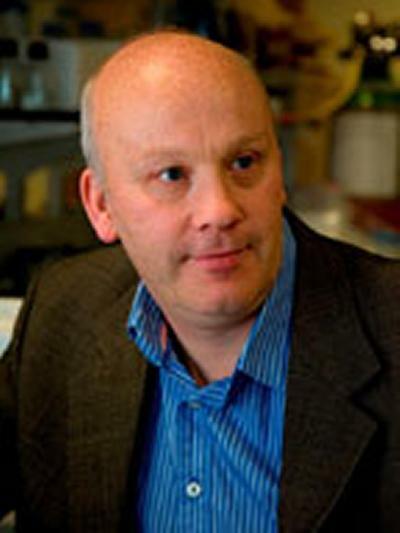 Professor Graham Packham is Professor of Molecular Oncology within Medicine at the University of Southampton. Graham Packham has a first class honours degree in Biochemistry from the University of Leeds. He was awarded his PhD in 1992 from the University of London, following studies on regulation of Epstein-Barr virus gene expression at the Ludwig Institute for Cancer Research at St Mary’s Hospital, London. Professor Packham carried out his postdoctoral research at St Jude Children’s Research Hospital in Memphis, USA, where he was the recipient of the Martin Morrison Fellowship, investigating mechanisms of action of the c-Myc oncoprotein in the laboratory of Dr John Cleveland. He returned to the Ludwig Institute for Cancer Research in 1995 to establish an independent research group studying the molecular regulation of apoptotic in cancer cells. Professor Packham joined the Cancer Sciences Division of the University of Southampton as a Senior Lecturer in 2000 and was appointed Professor of Molecular Oncology in 2006. Professor Packham leads a research group investigating molecular mechanisms controlling proliferation and survival in malignant lymphocytes and developing novel chemical compounds to interfere with key cancer promoting pathways. He has published more than 130 peer-reviewed papers and patents. Graham Packham is also a cofounder of Karus Therapeutics, a University spin-out company involved in the development of novel therapeutics for cancer and inflammatory disease. The goal of our work is to exploit our findings in the biology of cancer cells and the characterization of small molecule inhibitors, to develop novel treatments for cancer. Our on-going research in this area is focused on chronic lymphocytic leukaemia (CLL), a disease of malignant B cells and the most common leukaemia in the Western world. The clinical course of CLL is highly heterogeneous with some patients having an indolent disease and others a rapidly progressing disease. Improved understand of the underlying biology mechanisms that cause this clinical heterogeneity is likely to lead to novel therapeutic approaches, especially for patients with the progressive disease subtype. How does “positive” signalling via the B-cell receptor drive malignant cell survival and proliferation in CLL? How does the balance between BCR-driven “positive” signalling and anergy influence disease behaviour? What are the functional and clinical significance of altered N-linked glycosylation sites of the BCR in malignant B cells? How can we best select patients for treatment with novel inhibitors targeted towards BCR-associated signalling kinases? Small chemical agonists and antagonists are key experimental tools and offer opportunities for drug discovery. Our laboratory has a long term track record in the biological characterisation of novel chemical compounds. A major area of interest is the biological characterisation of chemical modulators of chromatin. Histone proteins are subject to a diverse array of post-translational modifications and alterations in these modifications can contribute to a range of diseases, including cancer and inflammatory conditions. We have performed extensive characterization of natural product histone deacetylase inhibitors, including spiruchostatin A, FK228 and azumamides. Our studies on bicyclic depsipeptide histone deacetylase inhibitors led to the creation of Karus Therapeutics, a University of Southampton spin-out company developing novel therapeutics for the treatment of cancer and inflammatory disease. We continue to characterize novel histone deacetylase inhibitors and to study chemical modulation of other chromatin modifying enzymes, including histone lysine methyltransferases and demethylases. A recent target for study is the histone methyltransferase EZH2 which is activated by mutation in follicular lymphoma. In collaboration with Professor Jude Fitzgibbon (Bart’s, London), we are evaluating the responses of primary lymphoma cells to new EZH2 inhibitors, as part of a programme to develop new personalised therapy approaches in this malignancy. Forconi, F., Drennan, S. J., Chiodin, G., D'Avola, A., Tracy, I., Johnson, P., ... Stevenson, F. (2018). Ibrutinib therapy releases leukemic surface IgM from antigen drive in chronic lymphocytic leukemia patients. Clinical Cancer Research. Papadakis, E. S., Reeves, T., Robson, N. H., Maishman, T., Packham, G., & Cutress, R. (Accepted/In press). BAG-1 as a biomarker in early breast cancer prognosis: a systematic review with meta-analyses. British Journal of Cancer. Parker, H., Rose-Zerilli, M. J. J., Larrayoz, M., Clifford, R., Edelmann, J., Blakemore, S., ... Strefford, J. C. (Accepted/In press). Genomic disruption of the histone methyltransferase SETD2 in chronic lymphocytic leukemia. Leukemia, 1-22. Ganesan, A., Nolan, L., Crabb, S. J., & Packham, G. (2009). Epigenetic therapy: histone acetylation, DNA methylation and anti-cancer drug discovery. Current Cancer Drug Targets, 9(8), 963-981. Zeidan, B. A., Cutress, R. I., Murray, N., Coulton, G. R., Hastie, C., Packham, G., & Townsend, P. A. (2009). Proteomic analysis of archival breast cancer serum. Cancer Genomics Proteomics, 6(3), 141-147. Crabb, S. J., Hague, A., Johnson, P. W. M., & Packham, G. (2008). BAG-1 inhibits PPARgamma-induced cell death, but not PPARgamma-induced transcription, cell cycle arrest or differentiation in breast cancer cells. Oncology Reports, 19(3), 689-696. Packham, G., Rogers, H., Habens, F., Cecil, A. R. L., Hill, T., Townsend, P. A., & Ganesan, A. (2007). Novel synthetic analogues of the natural product histone deacetylase inhibitor FK-228. Molecular Cancer Therapeutics, 6(12), p.3428S. Packham, G., Rogers, H., Habens, F., Cecil, A. R. L., Hill, T., Townsend, P. A., & Ganesan, A. (2007). Novel synthetic analogues of the natural product histone deacetylase inhibitor FK2285. Molecular Cancer Therapeutics, 6(12), 3428S-3428S. Packham, G., Rogers, H., Habens, F., Cecil, A. R. L., Hill, T., Townsend, P. A., & Ganesan, A. (2007). Novel synthetic analogues of the natural product histone deacetylase inhibitor FK2286289. Molecular Cancer Therapeutics, 6(12), p.3428S. Townsend, P., Packham, G., Barry, S., Chen-Scarabelli, C., Raddino, R., Knight, R., ... Scarabelli, T. M. (2005). Cytoplasmic/nuclear relocation of myocyte BAG-1 provides endogenous cardioprotection in the intact rat heart exposed to ischemia/reperfusion injury. Circulation, 112(17), p.U1195. Coenen, S., Pickering, B., Potter, K. N., Johnson, P. W., Stevenson, F. K., & Packham, G. (2005). The relevance of sequence insertions in the Mcl-1 promoter in chronic lymphocytic leukemia and in normal cells. Haematologica, 90(9), 1285-1286. Clemo, N. K., Arhel, N. J., Barnes, J. D., Baker, J., Moorghen, M., Packham, G. K., ... Williams, A. C. (2005). The role of the retinoblastoma protein (Rb) in the nuclear localization of BAG-1: implications for colorectal tumour cell survival. Biochemical Society Transactions, 33, 676-678. Osford, S. M., Dallman, C. L., Johnson, P. W., Ganesan, A., & Packham, G. (2004). Current strategies to target the anti-apoptotic Bcl-2 protein in cancer cells. Current Medicinal Chemistry, 11(8), 1031-1039. Townsend, P. A., Cutress, R. I., Sharp, A., Brimmell, M., & Packham, G. (2003). BAG-1 prevents stress-induced long-term growth inhibition in breast cancer cells via a chaperone-dependent pathway. Cancer Research, 63(14), 4150-4157. Cutress, R. I., Townsend, P. A., Bateman, A. C., Johnson, P. W., Ryder, K., Barnes, D. M., & Packham, G. (2001). BAG-1 immunostaining and survival in early breast cancer. Journal of Clinical Oncology, 19(16), 3706-3707. Eischen, C. M., Packham, G., Nip, J., Fee, B. E., Hiebert, S. W., Zambetti, G. P., & Cleveland, J. L. (2001). Bcl-2 is an apoptotic target suppressed by both c-Myc and E2F-1. Oncogene, 20(48), 6983-6993. Wood, L., Leese, M. R., Leblond, B., Woo, L. W., Ganeshapillai, D., Purohit, A., ... Packham, G. (2001). Inhibition of superoxide dismutase by 2-methoxyoestradiol analogues and oestrogen derivatives - structure-activity relationships. Anti-Cancer Drug Design, 16(4-5), 209-215. Coldwell, M. J., deSchoolmeester, M. L., Fraser, G. A., Pickering, B. M., Packham, G., & Willis, A. E. (2001). The p36 isoform of BAG-1 is translated by internal ribosome entry following heat shock. Oncogene, 20(30), 4095-4100. MacCarthy-Morrogh, L., Townsend, P. A., Purohit, A., Hejaz, H. A. M., Potter, B. V. L., Reed, M. J., & Packham, G. (2000). Differential effects of estrone and estrone-3-O-sulfamate derivatives on mitotic. Arrest apoptosis, and microtubule assembly in human breast cancer cells. Cancer Research, 60, 5441-5450. MacCarthy-Morrogh, L., Wood, L., Brimmell, M., Johnson, P. W., & Packham, G. (2000). Identification of a novel human BCL-X promoter and exon. Oncogene, 19(48), 5534-5538. Cutress, R. I., Crabb, S. J., Sharp, A., Townsend, P. A., & Packham, G. (2007). The significance and function of BAG-1 in breast cancer. In A. P. Yao (Ed. ), New Developments in Breast Cancer Research (pp. 1-30). (Horizons in Cancer Research; Vol. 23). USA: Nova Science. Dallman, C., & Packham, G. (2005). Purification of primary malignant B-cells and immunoblot analysis of bcl-2 family proteins. In Lymphoma: methods and protocols (pp. 1-14). (Methods in Molecular Medicine; Vol. 115). Humana Press. Khalsa, K., Jenkins, N. M., Packham, G., & Townsend, P. A. (2008). HDAC and 5-lipoxygenase pathway in relation to atherosclerosis. Paper presented at 2nd National Intercalator's Conference, .